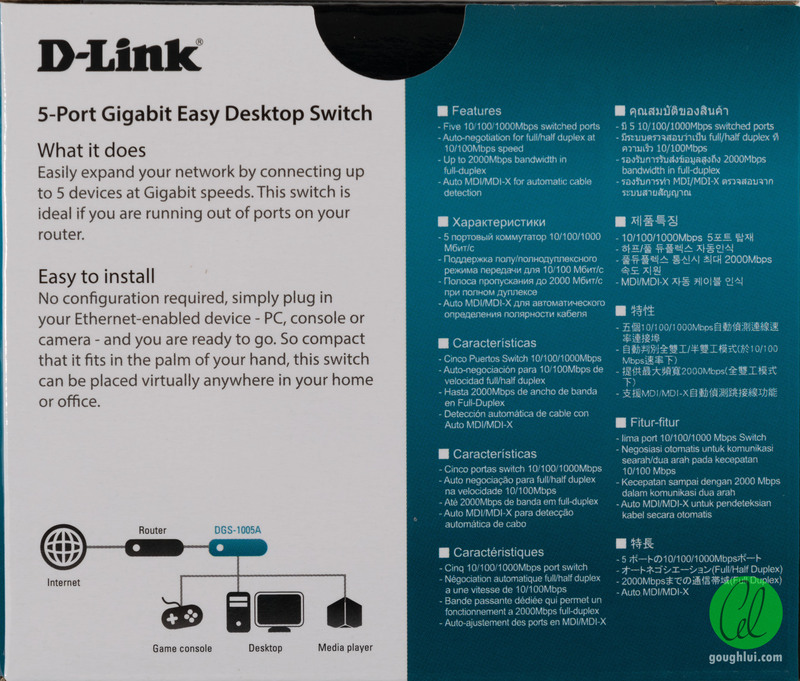 After bathing in nostalgia looking over my old switch and hub, it’s time to come clean – there’s a place for Fast Ethernet and that was a number of years ago. While some of the old equipment might still be serviceable and good enough for some applications, it can’t keep up with the likes of Gigabit Ethernet when it comes to bulk file transfers. Even Gigabit feels slow in an era with relatively copious SSD storage, so I thought it was a good time to get my hands on two cheap Gigabit Ethernet switches to expand the home network. Then I thought, why not take a peek inside and put up a teardown? 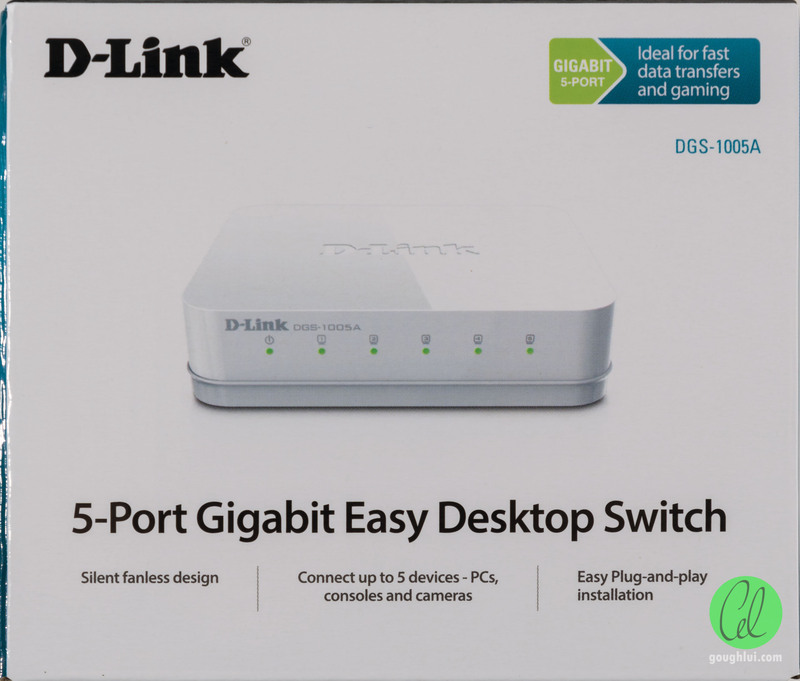 The first contender comes from D-Link, the DGS-1005A 5-Port Gigabit Easy Desktop Switch which costs just AU$17. For that price, the box seems quite elegant with rather colourful design. 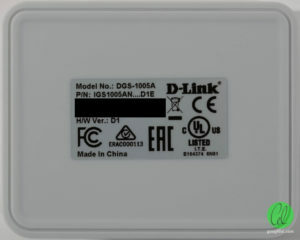 This particular unit is hardware revision D1 and is Made in China. 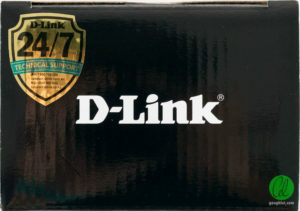 The box isn’t very large at all, with the device pictured on the front. The blurb isn’t particularly inspiring – which is expected. The unit seems to come with two years of warranty which can be upgraded to three if you register your product (and hand over some personal details, I suspect). I don’t think I’ll be needing that. 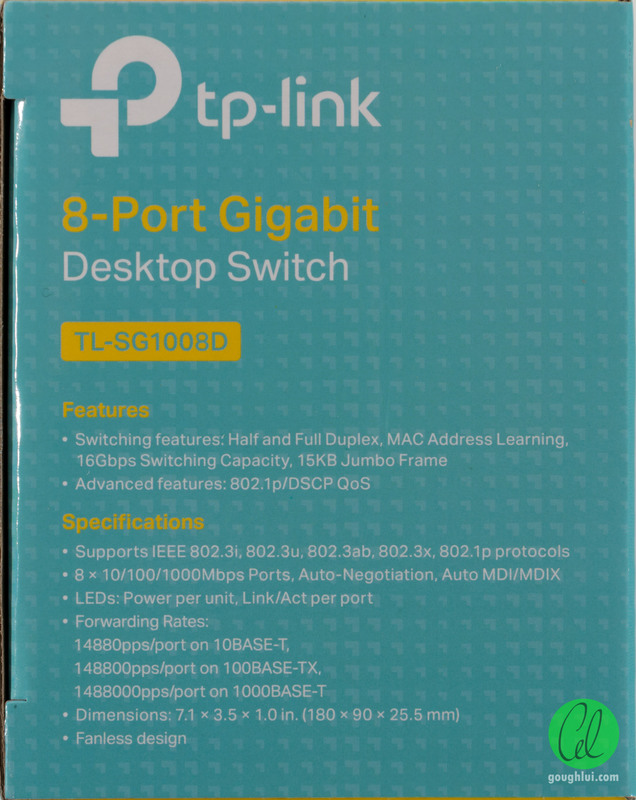 The feature-set is pretty standard for modern switches – support for Energy Efficient Ethernet (EEE), 10Gbit/s switching fabric, auto-crossover, auto-negotiation, flow-control, store-and-forward architecture supporting 9720 byte jumbo frames. Inside the box, you get the power adapter, the switch unit and some paper. The unit has a glossy plastic finish with the brand moulded into the case on the top. The top shell is white with the bottom shell being a light grey. 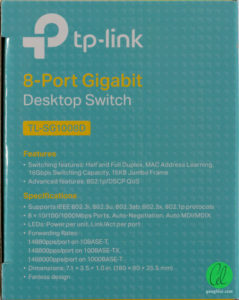 The front shows the indicators for each of the Ethernet ports and power. 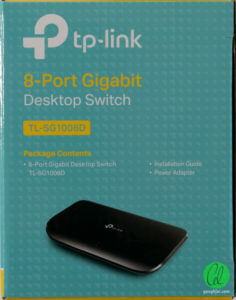 The ports are accessed through the rear, with an all plastic Ethernet jack which won’t ground any STP cable. This is not unexpected since the adapter has no physical ground connection anyway. One side is blank, with the other side having the DC barrel jack for a 5V 1A input. 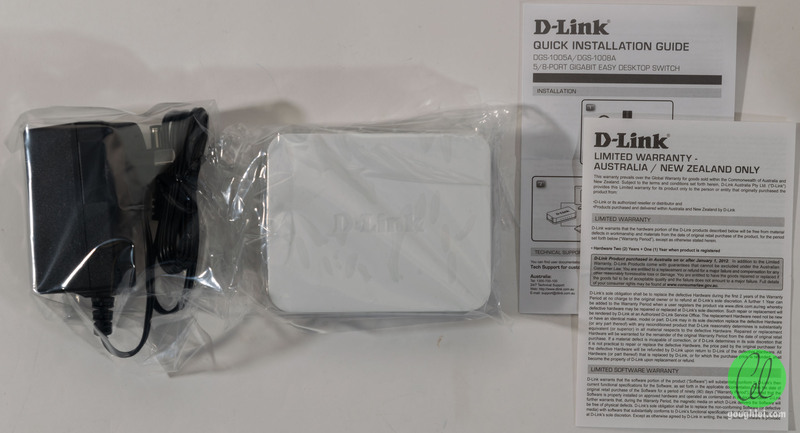 The power adapter is branded D-Link but is made by Leader Electronics Inc. It’s certified for Australian use and resisted my squeeze-attempts at cracking its case open, so lets just take a look inside the switch. The case is a screwless design, which can be unclipped from the sides. 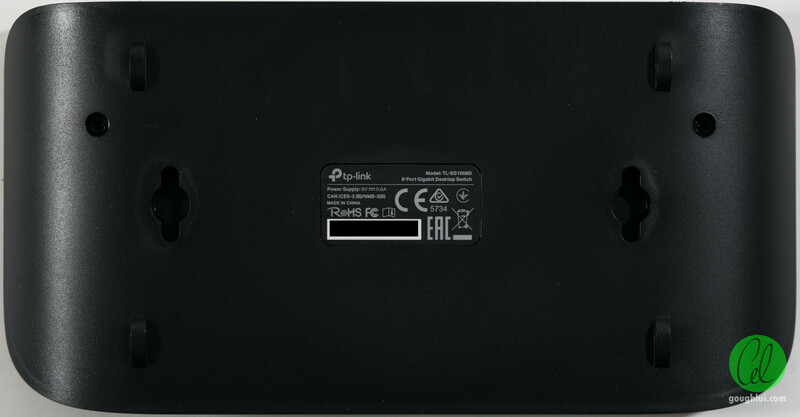 The top half shows some clear plastic being used as light-pipes for the indicator LEDs – when operating, the LEDs also shine through the top side of the case due to the low opacity of the plastic. 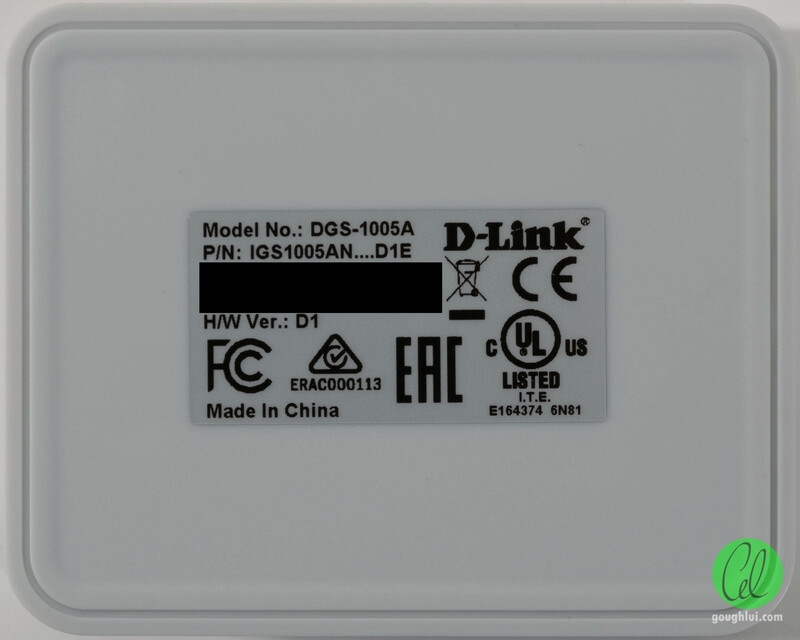 Judging from the PCB design, it seems that this same PCB is the heart of two other models – the DGS-1005D 5-Port Gigabit Unmanaged Desktop Switch and the DGS-105 5-Port Gigabit Desktop Switch (Metal Housing). For those other housings, we can see the dual-footprint LEDs which can accept bi-colour LEDs, and C32/C33 which allows for capacitive coupling to ground. 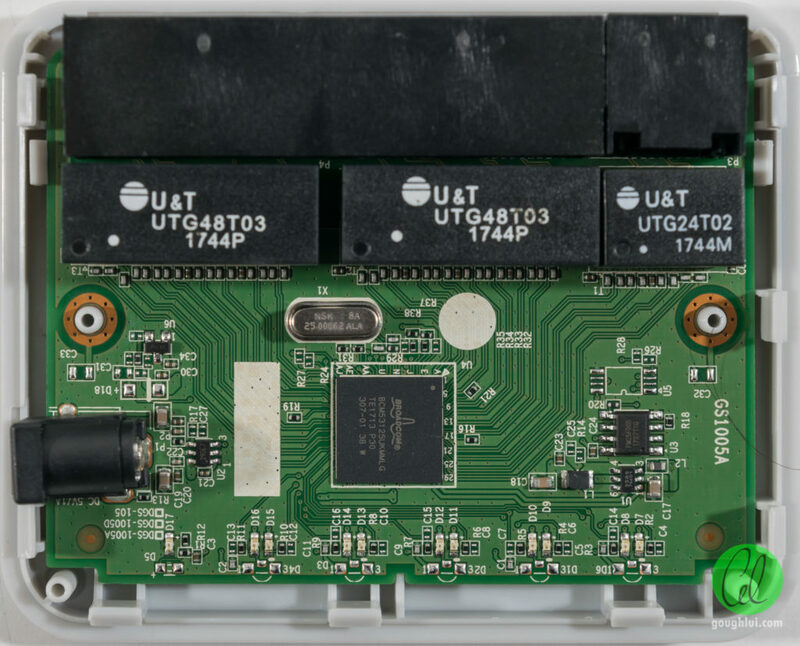 Rather interestingly, the unit uses a Broadcom BCM53125 switch chip, which seems to be quite a capable unit especially because it’s used in a number of consumer routers as well as the Banana Pi R1. There is an FM25F005 512Kbit SPI Flash memory and 25Mhz clock crystal. One particular upside is a complete lack of electrolytic capacitors which can be failure-prone. 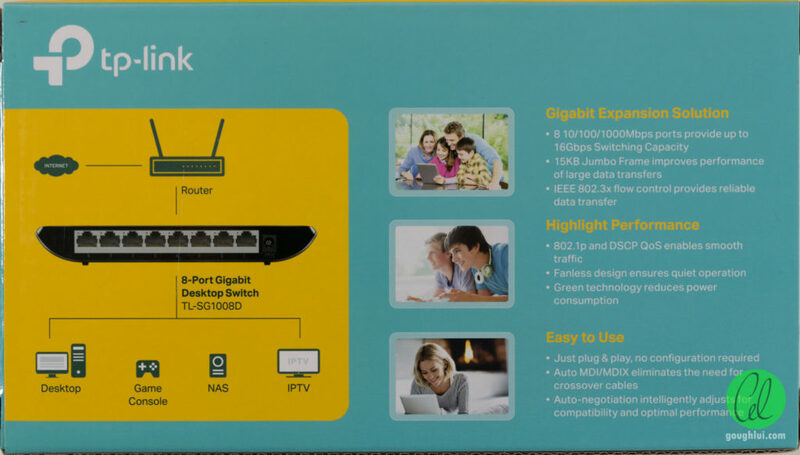 Another is the use of two LEDs per port – green indicating gigabit, amber indicating 10/100Mbit/s. The underside doesn’t have much on show, although L3 on the underside suggests that U2 is a switching DC to DC converter to derive the lower voltage for the switch chip in an efficient manner. The board is marked 8GS1005A.1D1G and GS1005A. I dumped the flash memory and it seemed quite large for something which is practically a fixed-function device. Looking for some text, it seems that there might well be an operating system of sorts as suggested by “Too many tasks! ..\..\..\src\kernel\background.c”. The dump along with the dump from the next switch can be obtained here. 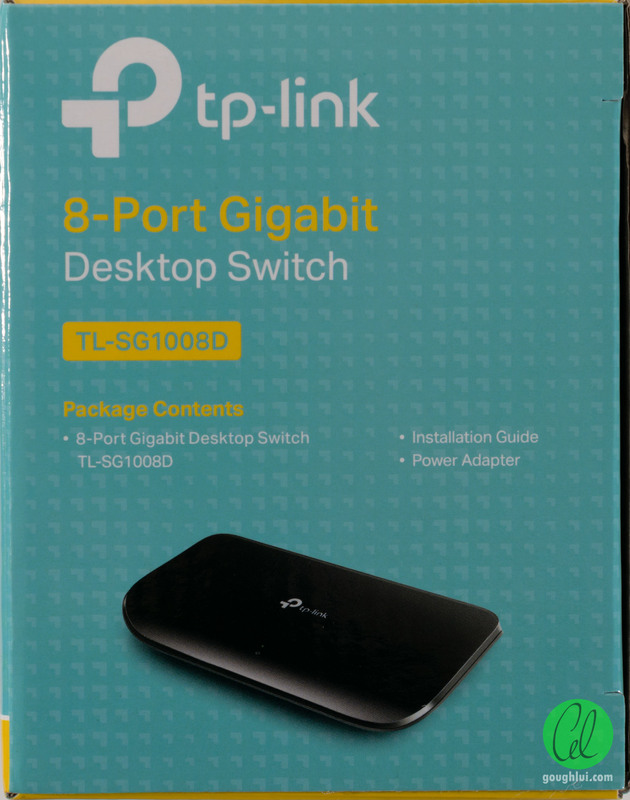 Not to be outdone, TP-Link offer the TL-SG1008D 8-Port Gigabit Desktop Switch for AU$26, in a box that is distinctly colourful as well. 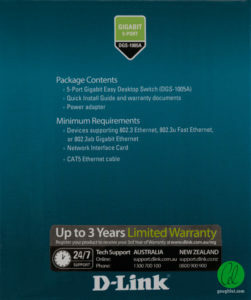 This one claims to come with three years warranty with no registration requirement. The front shows the unit, which has a curvy appearance like their older versions. 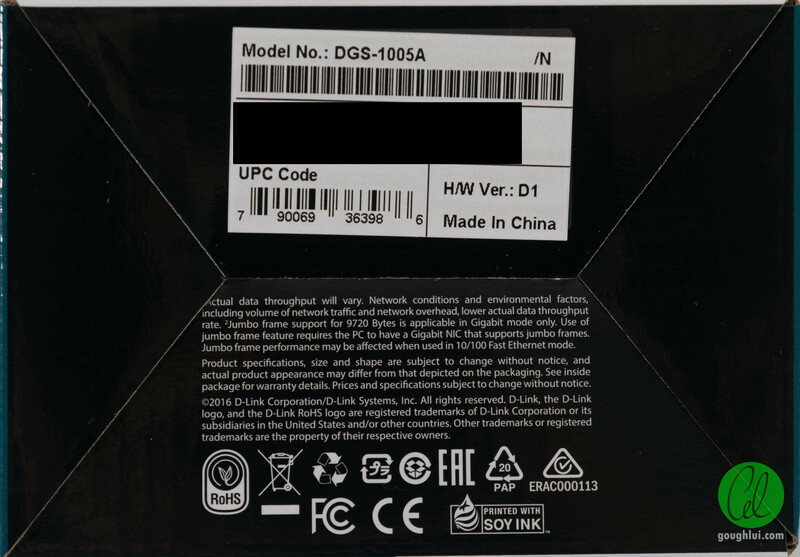 The bottom side has some multilingual description text and device serial number. The hardware revision is 8.0 – my other switch on my desk at the moment is the older 7.0 version which I didn’t post online due to my haste in getting it into service. 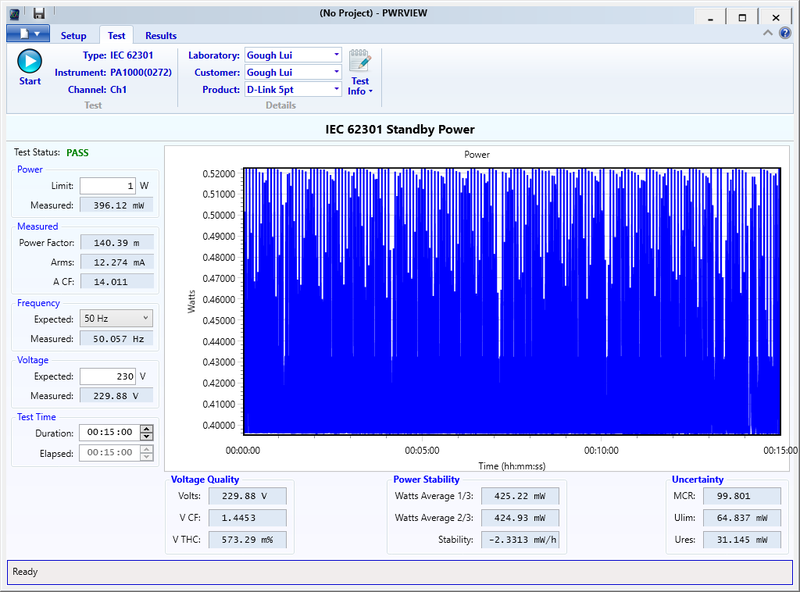 Again, the feature-set is quite similar with a non-blocking 16Gbit/s switching fabric, DSCP QoS ability, EEE support, auto-crossover, auto-negotiation and flow control. One of the key differences is support for 15KB jumbo frames. Switch, power supply, paper. I think I spot a pattern here. More glossy plastic, this time in black. Just one LED on the front – the power LED. Each port instead has its own LED in the rear, integrated into the port housing, which is also plastic and won’t provide any ground connection for STP cables. Unlike the other unit, this unit is secured by two screws. Regardless, it’s still very light and plastic-feeling. The unit comes with a power adapter which is rebranded. The OEM is not known, but in the past they had their brand moulded into the rear of the casing – this is not the case with the V8.0 revision. The voltage used is 9V at 0.6A, a common standard amongst TP-Link equipment but slightly less common than 9V or 12V equipment. After the screws are removed, the case still holds firmly together because of a number of internal clips. 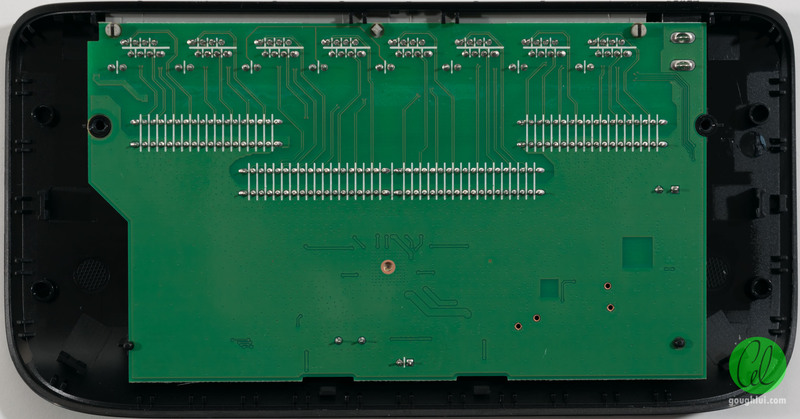 It opens from the underside, where we are presented with a slightly non-square PCB which cuts very closely to the holes on the edges. Silkscreen is used to keep solder connections from potentially bridging, but there is nothing mounted on the underside. Everything is mounted above, including a pair of switching converters to generate the necssary voltage rails for the switch chips, four two-port magnetic transformers, the switch chip, an LED for power and an STMicroelectronics 24C08WP 8kbit EEPROM. Unfortunately, with the heatsink secured firmly to the chip, there was no way to get a good eye onto the chip, but judging by the legs that show, I’d guess it’s probably a Realtek of sorts. The input has one Taicon electrolytic capacitor, which is probably slightly less desirable than having none, but seeing as it’s only filtering the DC input as bulk capacitance and not being driven hard by the output of the switching converters, it should not be an issue in the long run. 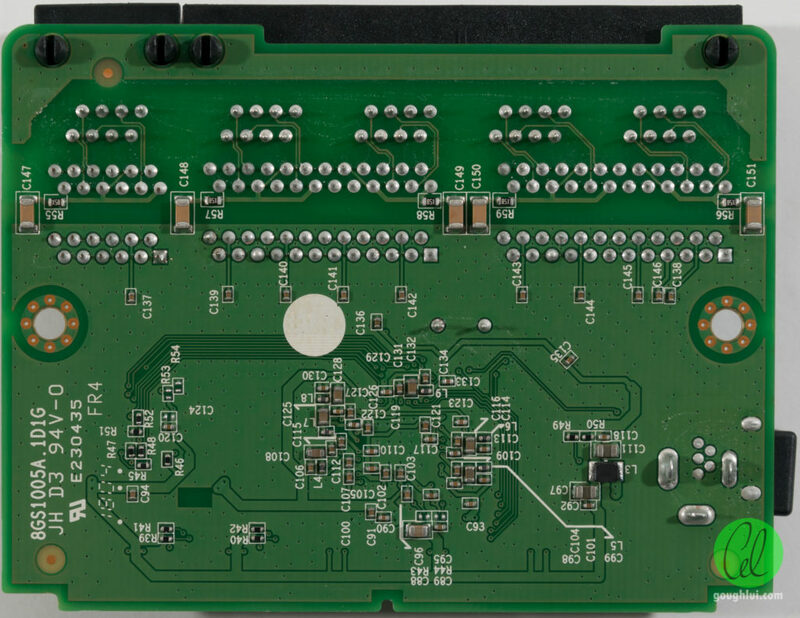 The dump of the EEPROM along with the dump of the Flash from the previous switch can be obtained here. In this case, it isn’t particularly big (that’s all the data) but it’s probably just a list of register values which doesn’t make sense without having access to the programming data for this particular chip. But it does suggest that these switches are more featureful than they are sold as. “If it ain’t broke, don’t fix it” is a mantra which some people follow. 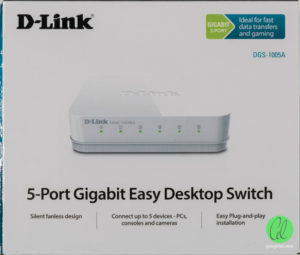 Given that some networking gear lasts almost forever and basic switches are practically “dumb” devices, why would you bother to upgrade if it works just fine? Well aside from potentially being more reliable, there are three major reasons I can think of. The main reason for my upgrade is to ensure I get more throughput especially as most of my devices have a Gigabit port already. 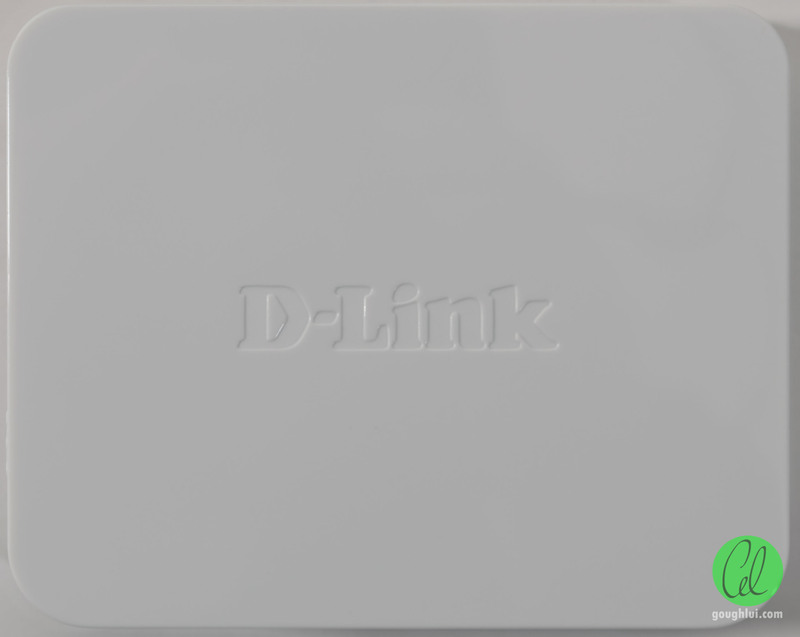 Having more ports around the house is handy as well, as the number of devices grow and my insistence on avoiding Wi-Fi to ensure better reliability and save the “shared” Wi-Fi bandwidth for devices that really need it. It might also reduce electromagnetic radiation exposure as well. Jumbo frame support is also something that can improve throughput by reducing overheads, although jumbo frames are rarely ever used as the whole network must support a homogeneous frame size to ensure communication is trouble-free. As a result, 4K, 8K, 9K, 15K jumbo frame support is mostly meaningless to home users who don’t run a homogeneous network that supports such large frame sizes, as we would mostly stick to the Ethernet standard MTU of 1500 bytes (payload) or 1538 bytes (physical link layer). 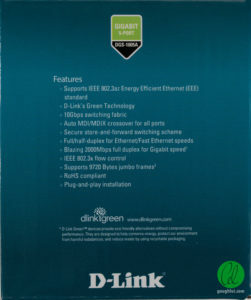 As the units advertised Energy Efficient Ethernet (EEE) support and “green” abilities with a mark VI power supply, I wondered if it’s worth upgrading purely to save energy and money. As a result, I pitched the Skymaster 5-port Fast Ethernet switch against these two in an idle power no-links active power consumption test, as usually the “idle” power overhead is a significant minimum energy consumption case. 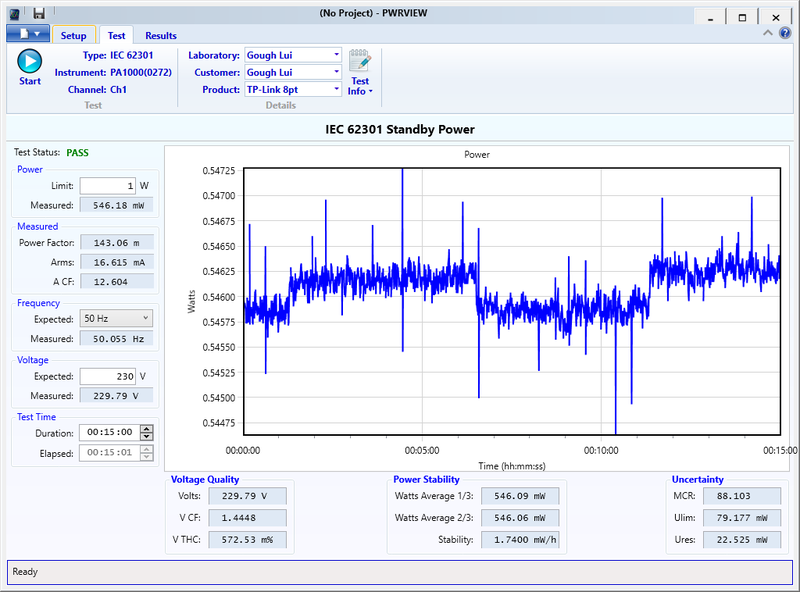 Using my Tektronix PA1000 Power Analyser and synthetic mains source, I determined the standby no-link-active power consumption of the units and computed the energy savings. Indeed, the newer switches are much more efficient on power, but at the current rough cost of electricity, it would take around three to five years to pay off the cost of the switch in energy savings. This still makes it worth adopting as it’s “about break-even” but it’s not exactly an incentive if not for the other features a new switch would bring. 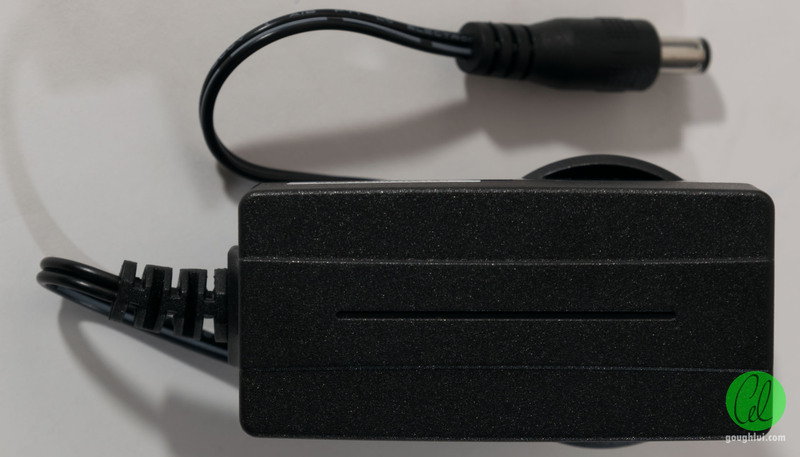 Swapping in an old TP-Link switch-mode power supply to substitute for the linear supply originally with the Skymaster, the usage fell to about 1.1949W, so about 1.3197W of energy can be saved purely by switching to a more efficient power adapter. That was rather surprising, but still, the Skymaster was consuming about twice as much power and providing slower service. All but the earliest switches have a store and forward architecture with non-blocking fabric. 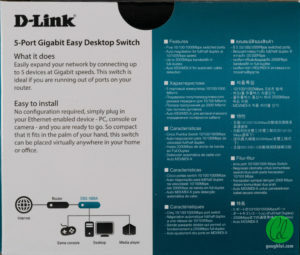 This means that any pair of ports can communicate at full speed, in both directions at all times – which is how a 5-port switch has “10Gbit/s” fabric and 8-port switch as “16Gbit/s” fabric. It seems unlikely that you would still be using a hub or early switch without these features, but in case you are, an upgrade might be useful. However, it’s very improbable that most homes with maybe one or two servers and mostly clients would choke up the switch fabric of an older switch. 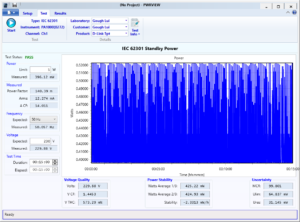 However DTCP QoS prioritisation may be important, especially when a higher speed link is talking to a lower speed link and the output queue for the slower link becomes full. This allows the switch to intelligently choose to drop packets of lower priority to maintain quality of service, but this relies on the packets being correctly tagged in the first place. Unless your links run at high utilisation, this shouldn’t be too big of an issue. 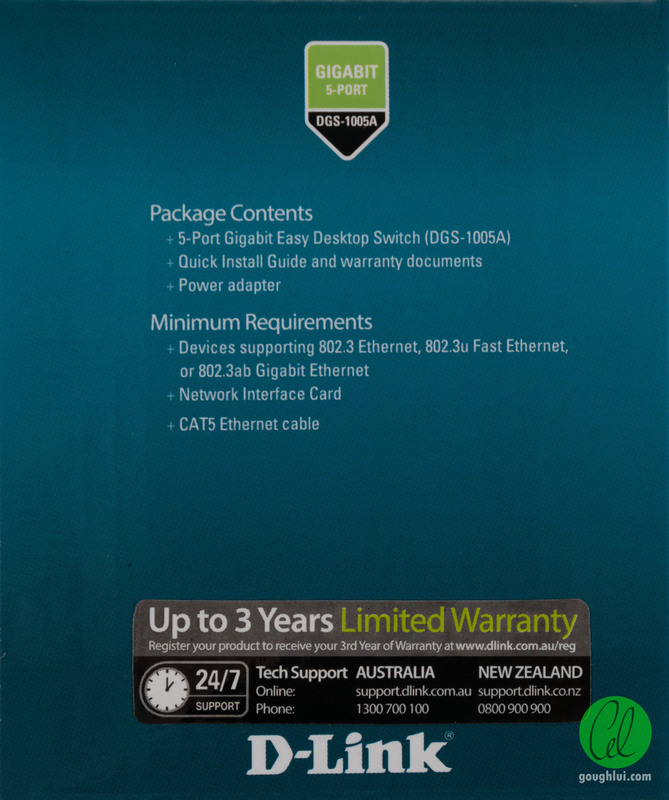 Basic unmanaged switches are almost as boring as toilet paper and the blurb on the box seems to confirm this. The list of features reads like a car brochure telling you it has wheels, but that’s no problem, because that’s exactly what you need. These switches seem to target the “lowest cost” consumer segment and the plastic build is consistent with this. They do the job well enough for basic home use that there really isn’t much to complain about given the price. 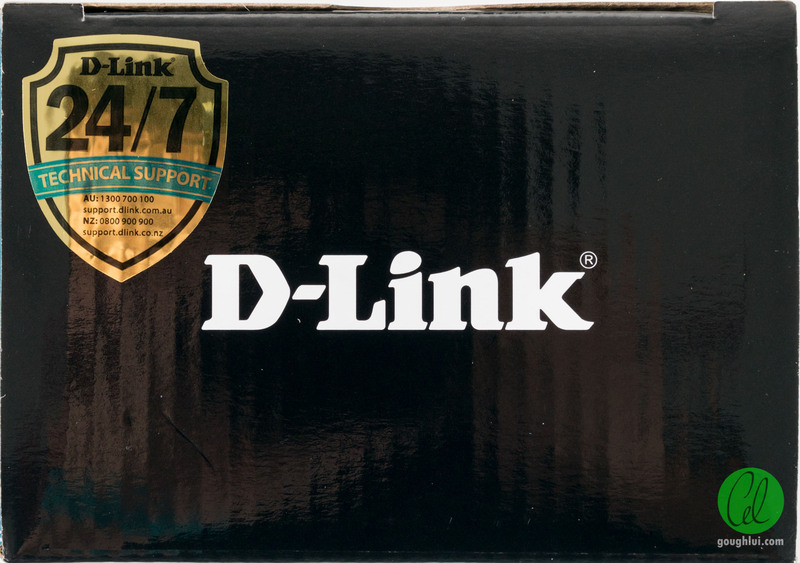 While we don’t know for sure if they’ll last (some power supplies are prone to failure), I’ve used TP-Link units from multiple versions back and they’re practically bulletproof. 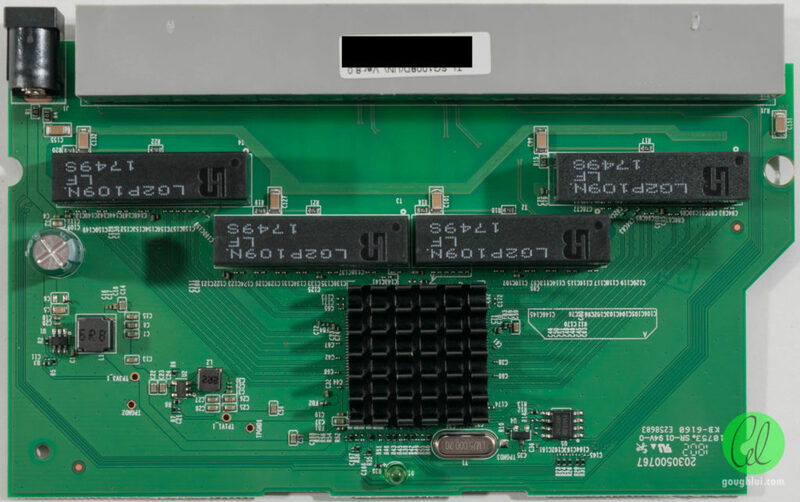 However, a look inside shows that these switches do have some memory for configuration, suggesting the switch chip is actually more capable than just a basic switch. It seems quite likely that they might have some configurable VLAN tagging/untagging abilities, configurable queueing, possibly even rate limiting and configurable loop detection abilities. 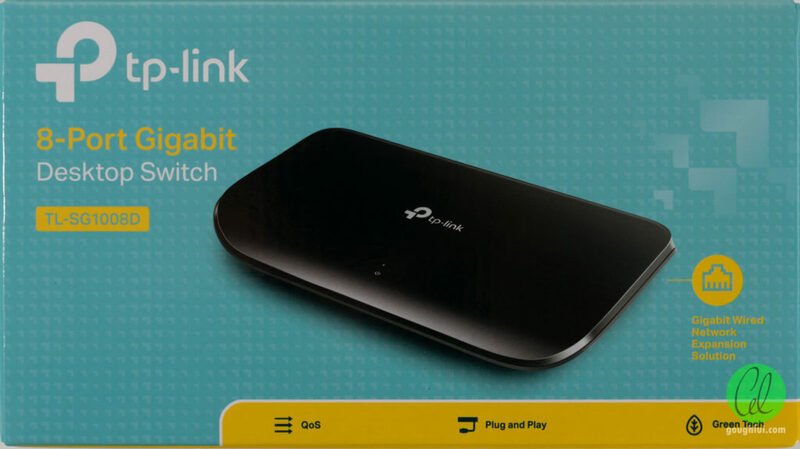 Unfortunately, without knowing the chipset and the exact format of the EEPROM/flash data, it won’t be possible to unlock these abilities, but it does explain why there are some cheaper semi-managed switches beginning to enter the market like the TP-Link TL-SG105E (which might well be something I end up getting sooner or later). 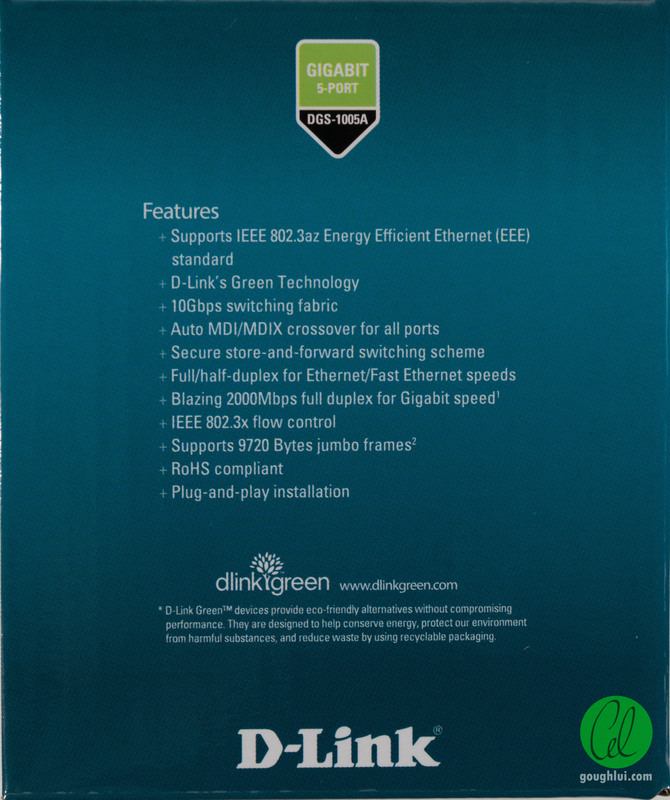 Even if you don’t need the throughput, maybe it’s still worth upgrading to save some energy with new energy efficient Ethernet standards and more efficient power adapters. The payback period may be 3-5 years for a basic switch, but you will save some electricity. If not that, then maybe the higher switching fabric bandwidth, store-and-forward architecture with QoS prioritisation in the packet queue and flow control support might help reduce packet losses for real-time applications compared to the earliest of switches and half-duplex hubs. The improved reliability of a new device may also be welcome. 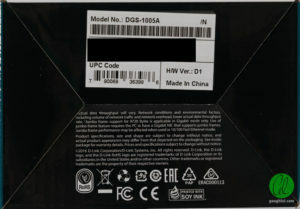 This entry was posted in Computing, Telecommunications and tagged computer hardware, networking, review, teardown, tested. Bookmark the permalink. I just used my fingernails, slowly prying a gap open and using something thin/long/stiff to hold it open (e.g. guitar picks). But doing it without causing any harm is a bit of pot luck – there’s no guarantees. Hey good teardown article thank you. I have the GS-1005D with the 9V 0.6A PSU and wonder if you could advise pls. Would it be possible to use an ATX PSU – either 5V or 12V outputs to power the 1005D – do you think? I do appreciate that yours is the 1005A and so any comment you make would be a form of a guess. It’d be helpful to me to get your thoughts though. 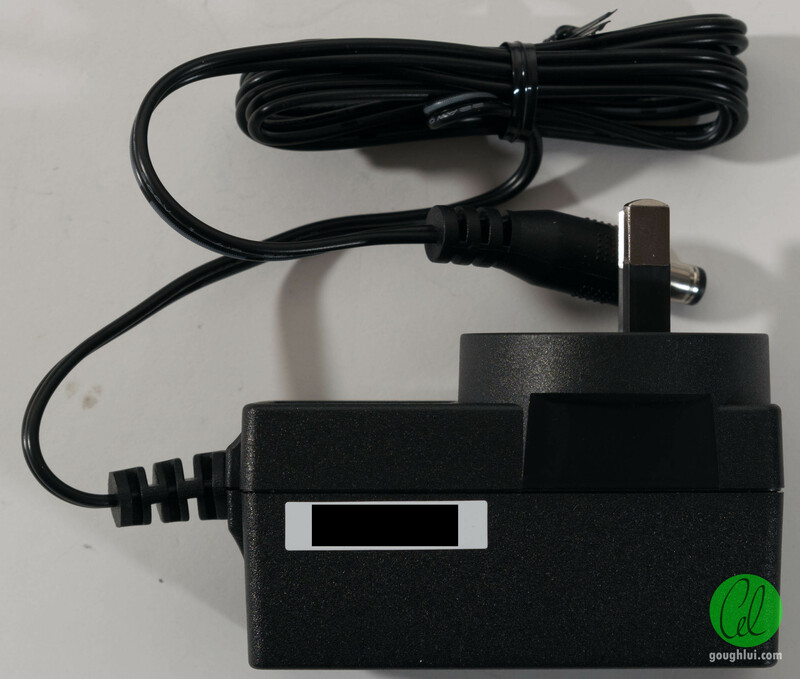 In general – supplying a lower voltage (at the correct polarity of course) is unlikely to damage the device but could cause improper operation. 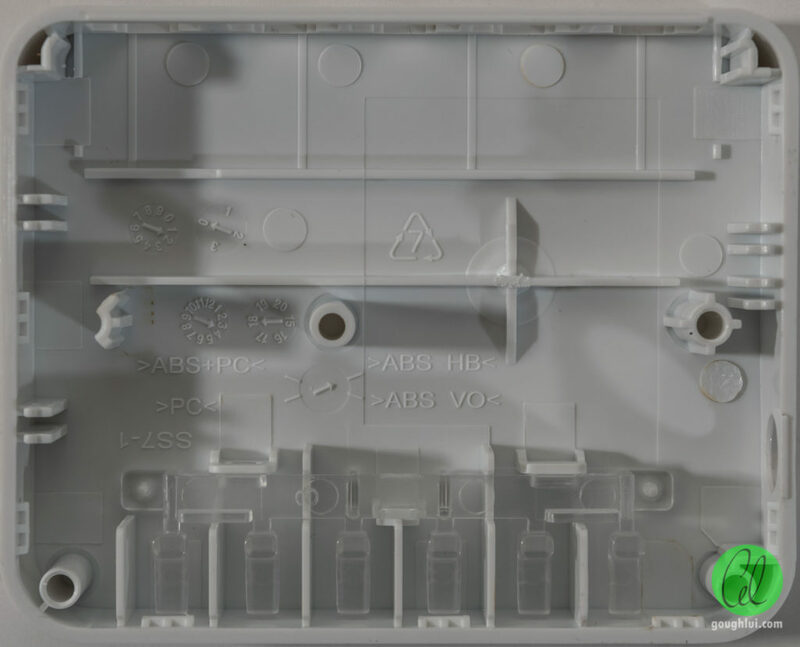 However, from what I can see from most of the switch designs I’ve opened, it shouldn’t really be a major issue as the first thing the device does is run the power through a switching converter to step the voltage down – for some designs a single rail at 3.3V, others with two rails at 3.3V and 1.8V. 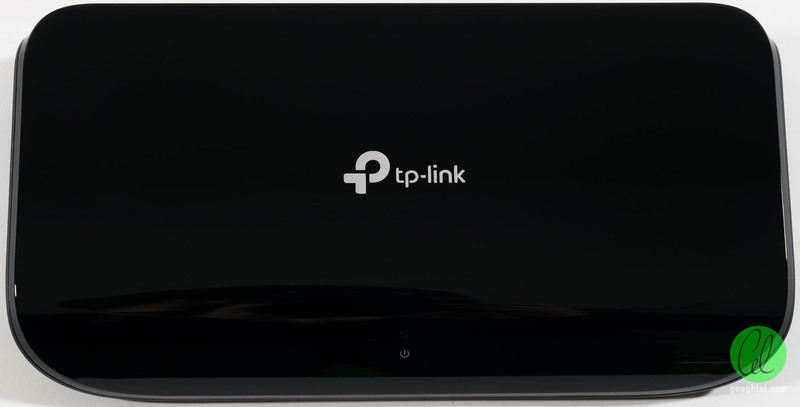 Case in point is the TP-Link in the image – it had a 9V/0.6A PSU and I am running just fine from 5V with all ports occupied. 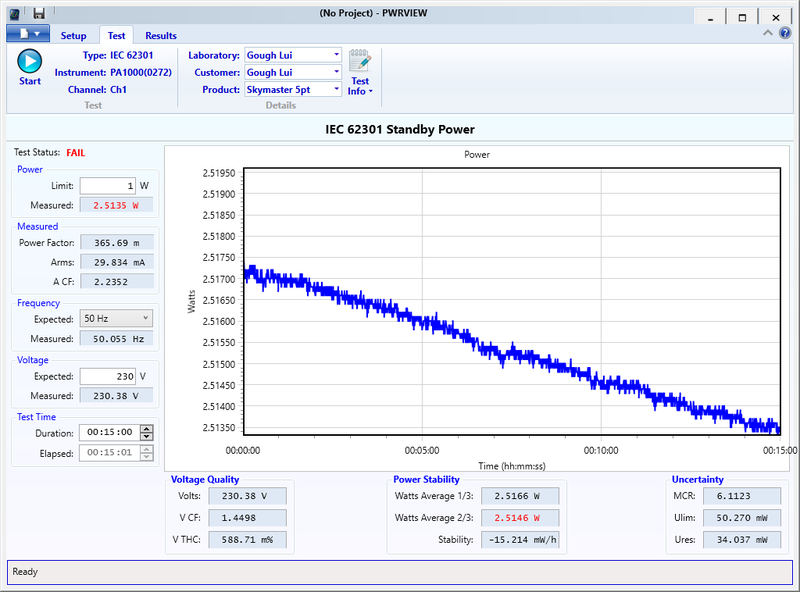 The current through the DC-DC converter could be increased due to the lower input voltage, but I’ve run in this manner for a year or so with seemingly no ill effects. 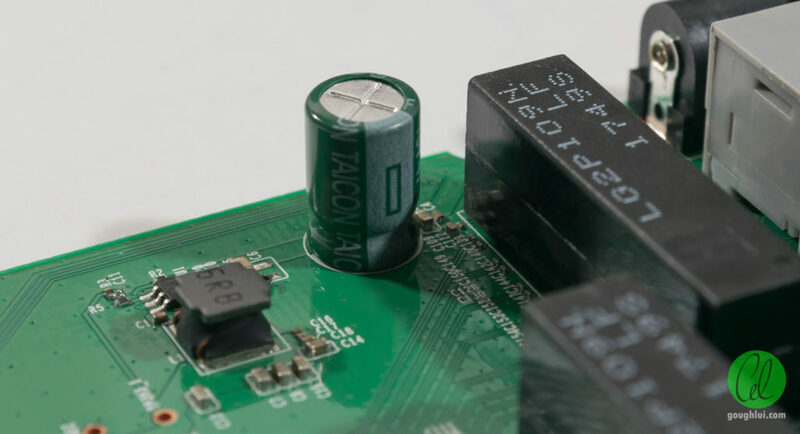 As usual, you bear all risks in experimentation – but I wouldn’t recommend applying 12V unless absolutely necessary as it could possibly cause damage or overstress of the DC-DC converter within. Thank you for the quick reply Gough. 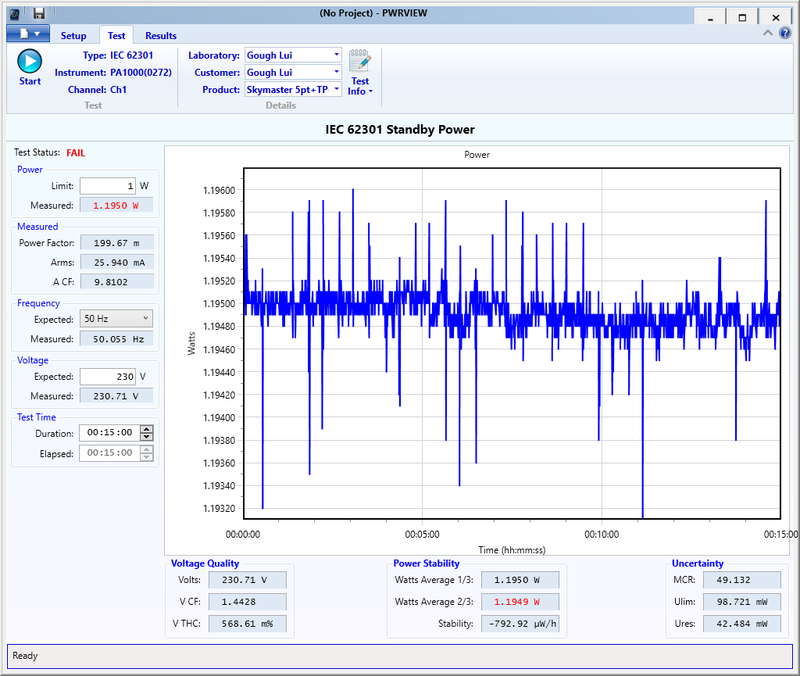 Very useful feedback especially in that you are running with 5V on your own switch. 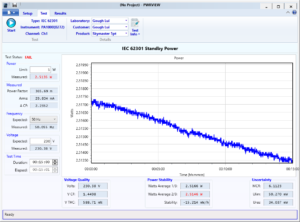 Understood also that lower voltage indicates higher current – though I hadn’t considered the impact on the DC-DC converter. And certainly understood that all risks are mine.